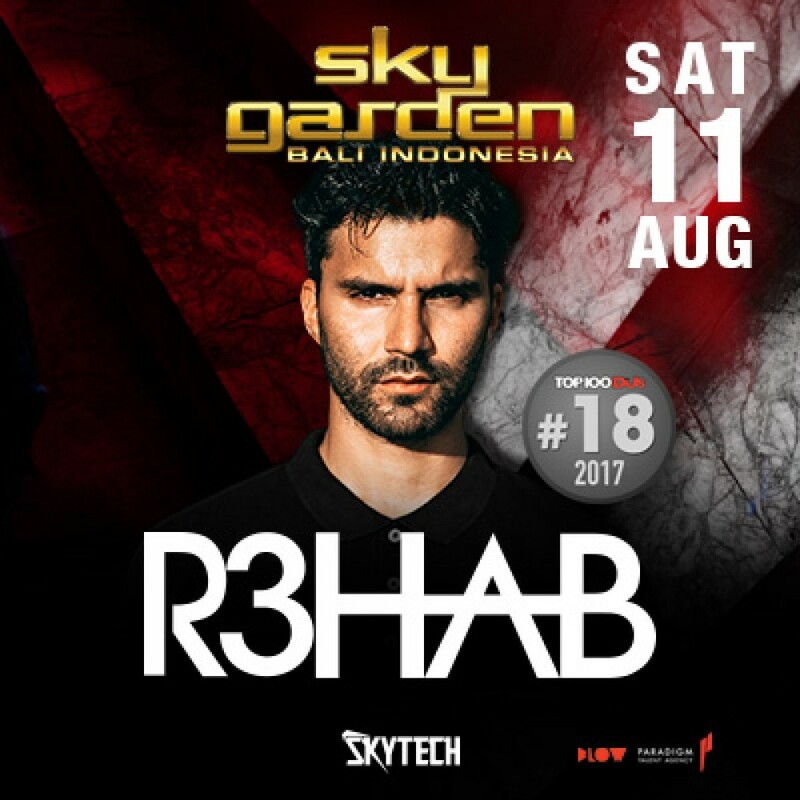 This Saturday, catch famous Dutch DJ R3hab back at Sky Garden for a night filled of modern and iconic Dutch house music. Well known for his collaborations with renowned names such as Afrojack and Chuckie, this DJ and record producer is a sure fire to get the crowds dancing into the early hours of Sunday. Get your general admittance tickets which includes a first drink and admittance to an ‘all you can eat’ buffet at a presale price of IDR 250,000 which is available until the 10th of August or for IDR 350,000 at the door. There are various VIP table packages up for grabs which all include different variations of entry access for groups of 4+ people, premium bottles with mixers, tapas and access to Sky Garden’s ‘all you can eat’ buffet. Launched in 2010 by the same owner behind La Favela and La Laguna, who was inspired by his Spanish childhood and culture to create La Plancha - the very first Chiringuito styled restaurant bar to be found in Seminyak. Chiringuito is an original concept that is derived from Spain, which is used to describe a small enterprise that mainly sells drinks and meals usually on a beach. Fast forward to today, and La Plancha is celebrating its 8th birthday with a Luau party this Saturday. 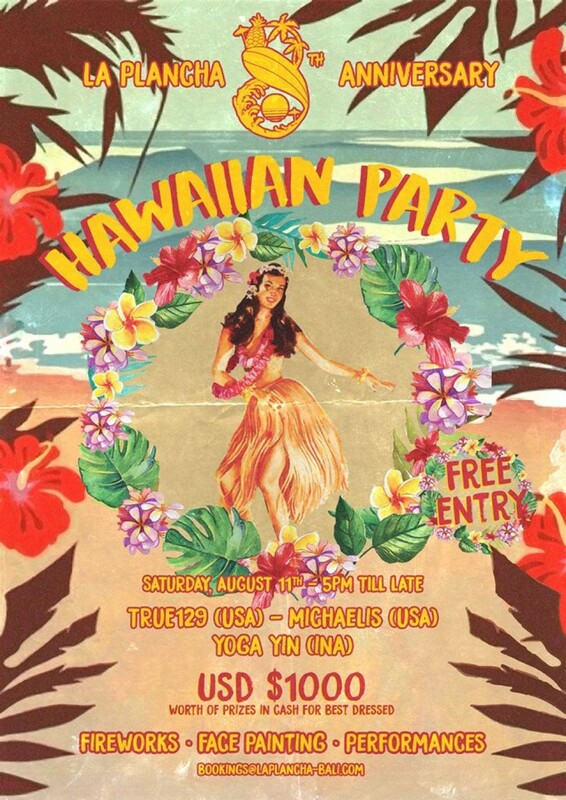 You are all invited to don your best Hawaiian costume and grab a frozen colada! Don’t forget to register your costume from 9-12pm to stand a chance to win one of their prizes up for grabs with 500 USD awarded to the best dressed and 200 USD for third place. Entrance is free, so there is no excuse not to check La Plancha out as they pull out all the stops with fireworks and fun performances to keep you entertained well into the night. Join Karma Beach Bali for an unforgettable experience this Saturday as they hold their ultimate Summer Festival 2018. 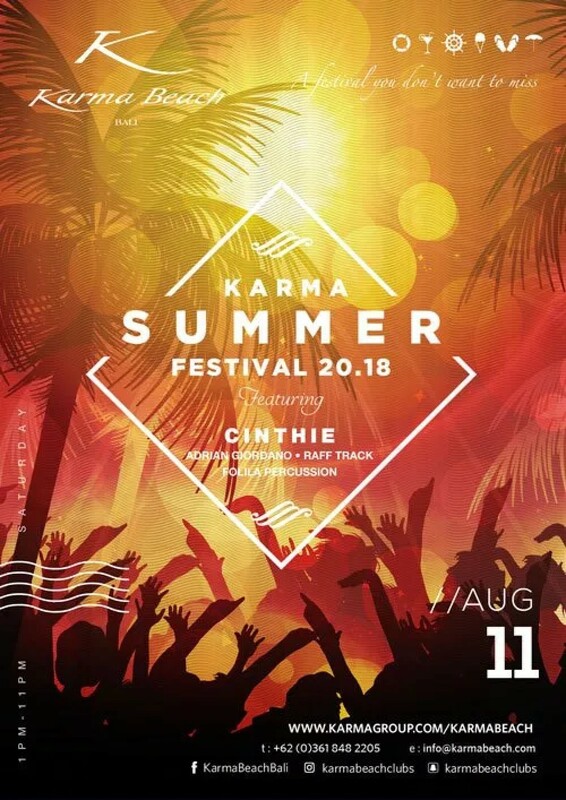 Karma Beach will be flying in some of the best of house, nu-disco and techno names with international DJs like CINTHIE who is a popular Berlin based DJ and producer well known from Moscow to Mexico, in addition to your favorite resident DJs Adrian Giordano and Raff Track plus the uniquely funky Folila Percussion. Launching in 2014, the second weekend of Potato Head’s Sunny Side Up Festival sees multi-platinum alt-pop star Halsey take the stage. With big names such as Ellie Goulding and Disclosure performing in the past, Sunny Side Up is quickly making a name for itself as one of the leading international and cultural music festivals on the island of Bali. 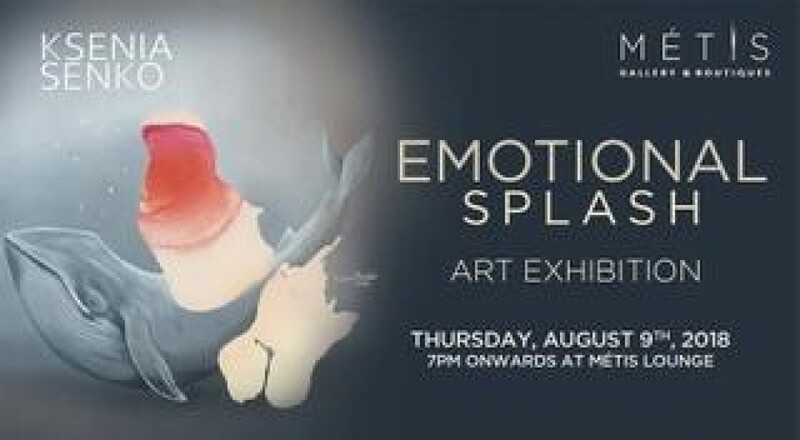 As it draws in an international crowd, expect a day filled with good vibes and tunes, paired with interesting sustainable art installations and a pop-up merchandise store. 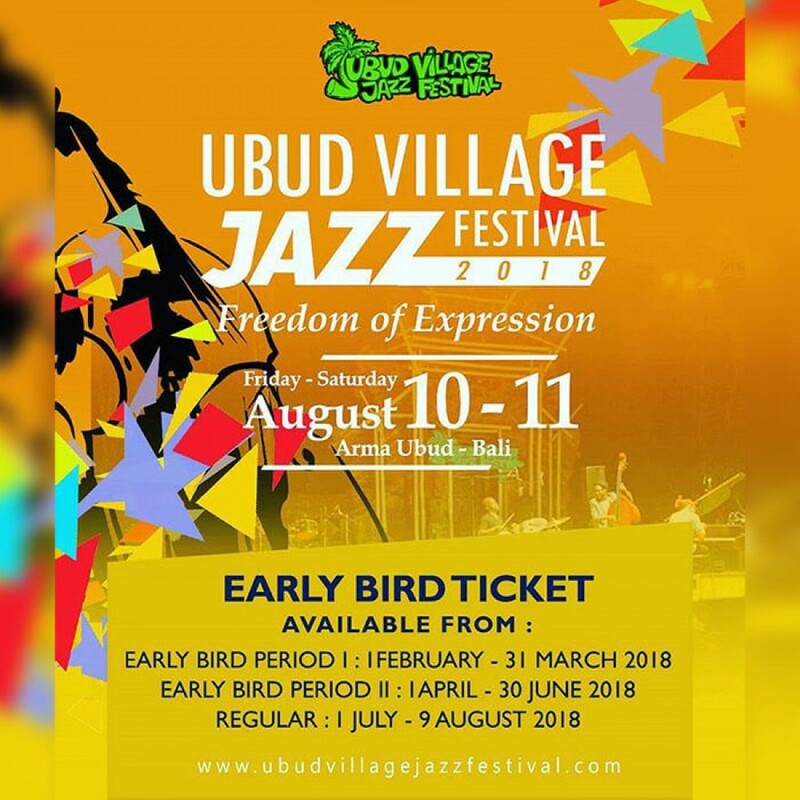 The Ubud Village Jazz Festival (UVJF) is an annual international jazz festival held on the 10 to 11 of August from 3:30pm to 11:30pm each day. The festival will be hosted at the ARMA museum on its open stage where approximately 5000 attendees are expected. First conceived in 2012, the overall festival is intimate in size however well formed, boasting 20 performances and 100 musicians over 2 days. The theme for 2018 is about embracing uniqueness, wherein a wide variety of jazz forms will be played and will feature international acts from America and Europe, namely the East West European Jazz Ensemble featuring Gregory Gaynair from Germany, Peter Bernstein from USA, Piotr Orzechoswki from Poland, Youn Woo Park Trio from South Korea plus a extensive line up of Indonesian performers such as the Bali Fire and The Daunas. The 2 day pass is available for purchase at IDR 700,000. For his debut into the Asian market, photographer Jesse Lizotte’s series of photographic artworks will be showcased at The Slow for a month from this Saturday 7pm onwards. No stranger to the art world, Lizotte’s works have previously been shown at galleries spanning from Los Angeles to London, and premiered on acclaimed covers from GQ to Oyster. Lizotte is inspired by how those individuals regarded to be on the ‘fringes’ of society still influence popular culture and fashion, consequently Lizotte’s subject matter naturally gravitates towards subcultures such as musicians and skateboarders. His images are both familiar to the viewer and yet with his photographic skills, he presents the viewer a innovative and different perspective of what is thought to be the familiar. 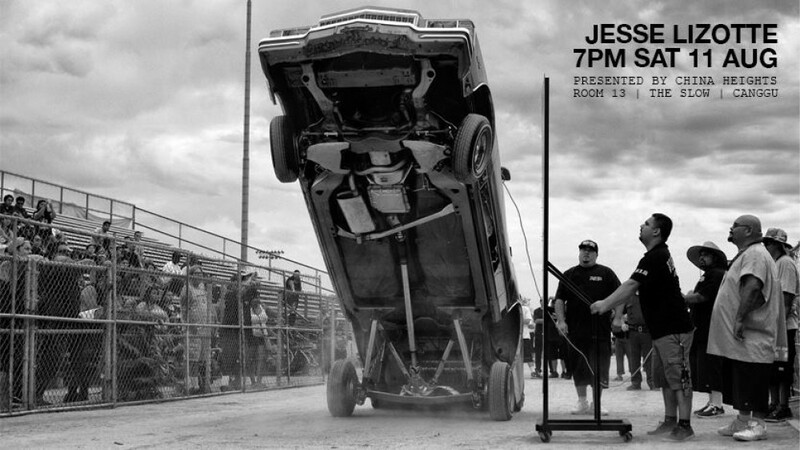 The Slow will be showcasing a series that consists of 10 black and white images in their gallery space- Room 13.